When I say I’m not a chocolate person, what I mean is I’m not a milk chocolate person. This is the stuff I like. This is the real stuff. Bittersweet chocolate and dutch-process cocoa powder accentuated with strong coffee and buttermilk, doused in thick ganache. 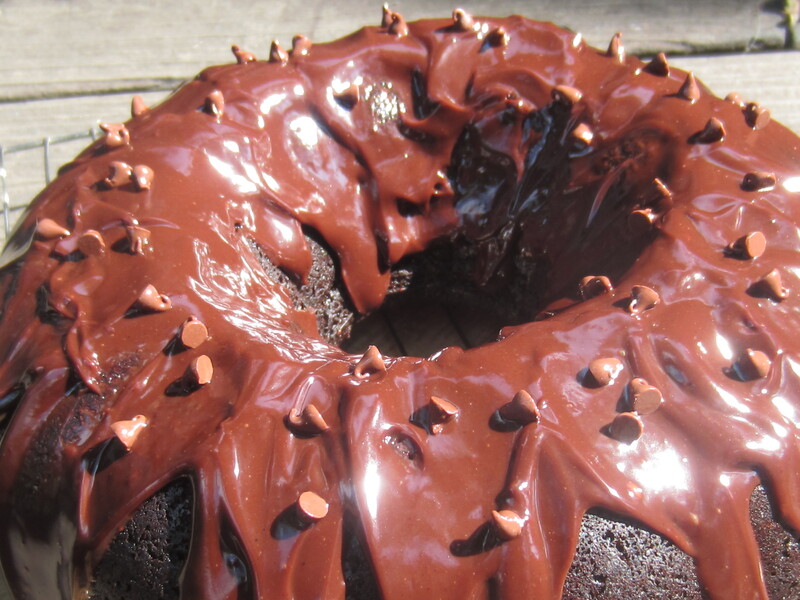 Preheat the oven to 350 degrees and grease your 12 cup bundt pan. 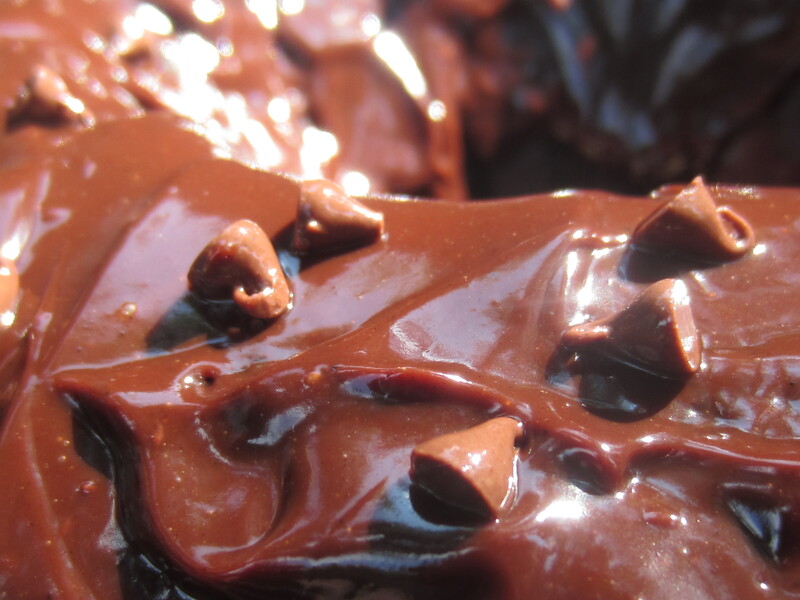 Melt 2 oz of the chocolate in a small saucepan, quickly so that it doesn’t burn (or you can use a double boiler if you want to play it safe). Once the mixture is melted, pour it into a medium bowl and whisk in the oil, sugar, and egg. In a small bowl, sift the flour, cocoa powder, baking soda, and salt. Add half of the dry ingredients, half the coffee, and half the buttermilk to the chocolate mixture. Mix well. Add the other half of everything. Bake for 40 minutes, or until the cake is springy to the touch and when a toothpick is inserted, it come out clean. Cool for 10 minutes in the pan, then turn out onto a rack and cool completely. Heat the cream almost to boiling in a saucepan. 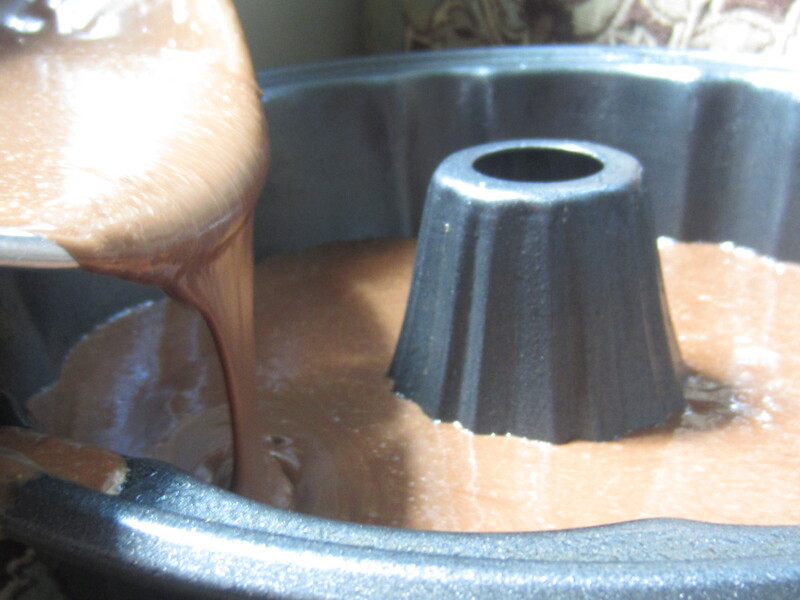 Combine the remaining 3 oz of chocolate, the corn syrup, and the butter in a heatproof bowl and pour the cream over it. 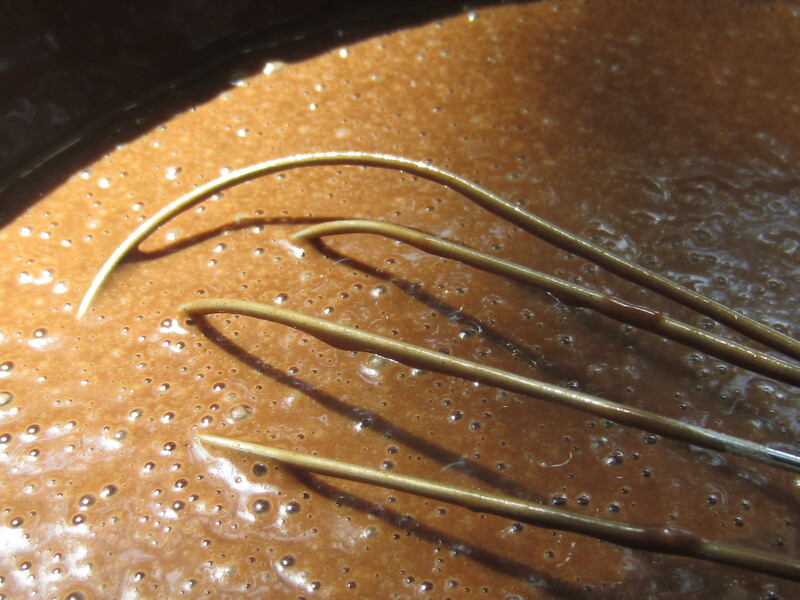 Whisk together until everything is melted and smooth. Pour over cooled cake and let stand for 30 minutes to set.